Coffee Filters - 2.75 in. x 3 in. System III Paper Filters - 15 in.x 5.25 in. Urn and Iced Coffee Paper Filters - 17.5 in.x 7 in. Urn Narrow Base Paper Filters - 18.5 in. x 6 in. 6 Gal. Paper Filters - 20 in. x 8 in. 6 Gal. Paper Filters - 21 in. x 9 in. Urn Paper Filters - 10 Gal. Paper Filters - 24 in.x 11 in. Coffee Pourover With 2 Burner - 3.9 Gal. 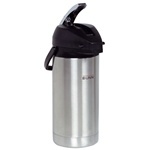 Water Pitcher Plastic - 64 Oz. Picante Sauce - 0.5 Oz. 3 Gal. Paper Filters - 19 in. x 7.5 in. Coffee Filter 12 Cup White - 9.75 in. x 4.25 in. Filter For Dual Tea Brewer Paper White - 12.75 in. x 5.25 in. 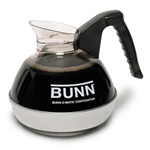 Bunn knows coffee and how to make it in restaurants and foodservice establishments. 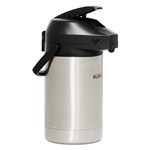 Bunn coffee machines and filters last longer than any other brand for consistent and economical beverage service in your coffee shop or cafe. Coffee is one of the top 3 beverages in the world and important for any restaurant. Founded in 1957, Bunn-O-Matic Corporation introduced the first paper coffee filter for commercial use and, in 1963, the pourover coffee brewer. 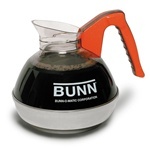 Today BUNN continues to design and manufacture innovations in commercial beverage equipment and home coffee brewers from its headquarters in Springfield, Illinois. Keep your patrons warm in the winter time and energized year round with great tasting coffee.